Cades Cove with the John Oliver cabin in the background. August 27, 2010. Betsy and I went to Cades Cove in the Smokies on Friday. We hadn’t driven the Loop Road since it was re-paved and we wanted to see what improvements had been made. Of course we stopped several times to take pictures. One of the places we stopped was the cabin of John and Lurena Oliver, who were the first permanent settlers in the cove. 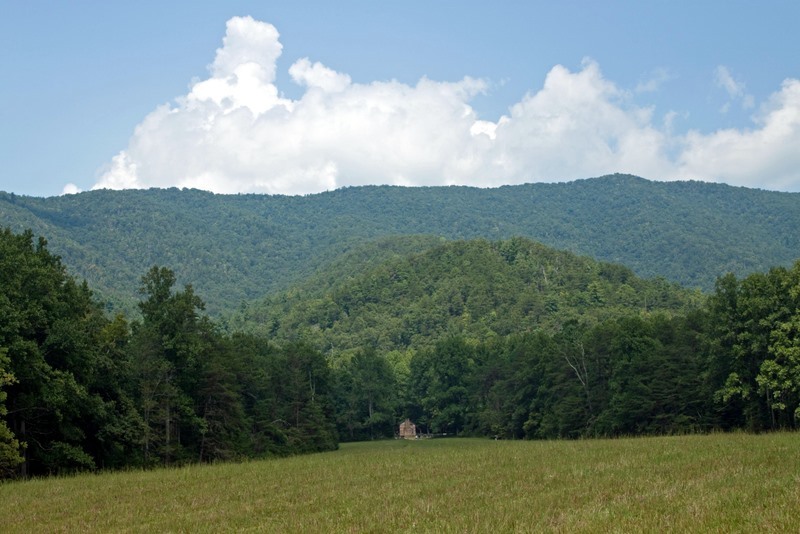 They arrived in Cades Cove in 1818. Their cabin was most likely built in 1822. The picture above shows the cabin and its setting in the cove. The cabin is quite a way from the current Loop Road, but the setting is beautiful. 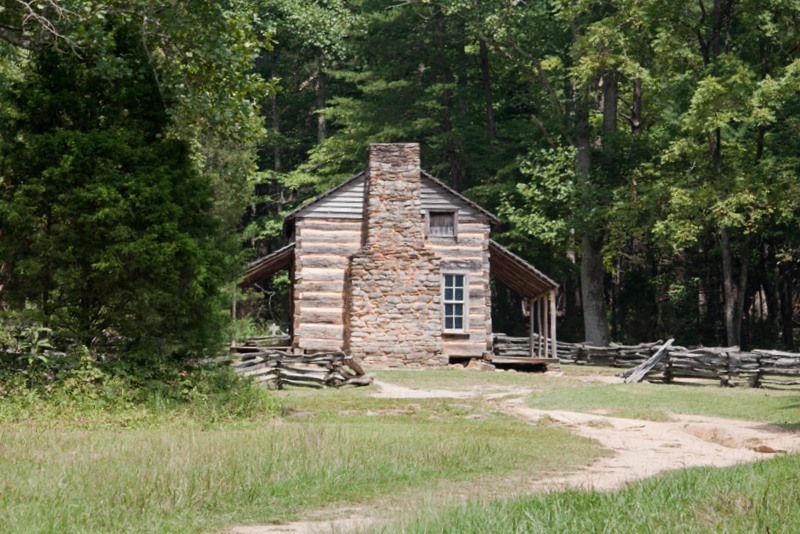 The John Oliver cabin, Cades Cove, Great Smoky Mountains National Park, Tennessee. August 27, 2010. The cabin was built in a style that was fairly typical along the eastern frontier at this time. Perhaps the most interesting feature is that no pegs or nails were used to build this cabin. Gravity locks the logs together and the chinks are filled with mud to seal out wind and rain. The small windows and doors help conserve heat and maintain the cabin’s strength. Gravestone of John and Lurena Oliver, Primitive Baptist Church, Cades Cove, Tennessee. August 27, 2010. 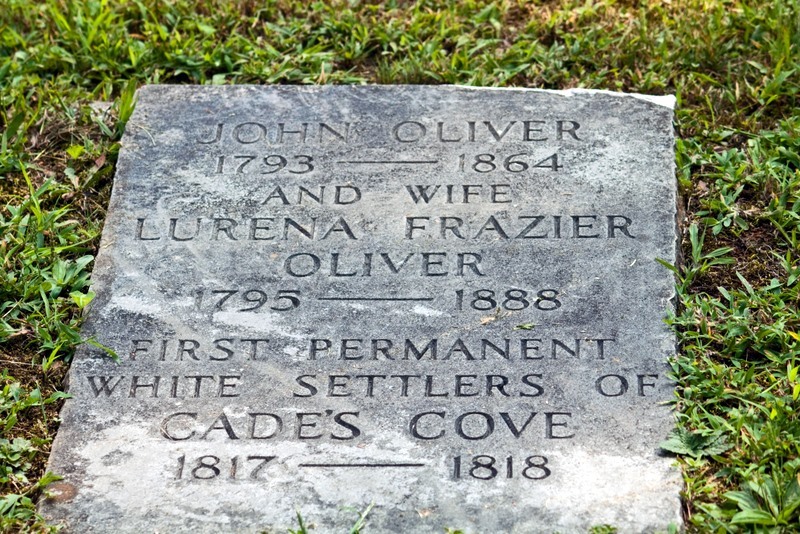 John and Lurena Oliver are buried in the graveyard of the Primitive Baptist Church which they helped establish and which is fairly near their cabin. The track of our visit to Cades Cove, Great Smoky Mountains, Tennessee. August 27, 2010. One disadvantage to taking lots of pictures on a trip is that it is not always easy to remember where a particular picture or series of pictures was taken. My blogger friend Neal brought an AMOD geotagger to my attention and I got one a few months ago. While I have used it to tag the location of some of our pictures, I really haven’t experimented with it to get a good idea of what can be done with the data. Betsy and I drove to Cades Cove in the Smokies after running an errand in Knoxville Friday morning. The park service has repaved the Cades Cove Loop Road and we wanted to see how the project turned out. As we got near Cades Cove I turned on the geotagger. The yellow line in the screen shot above is a track of where we drove or hiked. 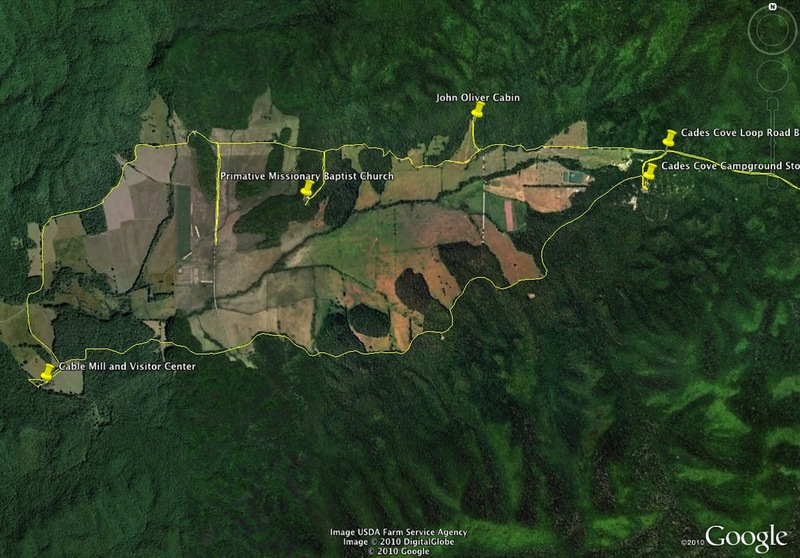 The screen shot is taken from Google Earth and I can put in waypoints and descriptions as you can see. On Google Earth I can also zoom in or out to give different views of the area. I could post the track on Google Earth so others could manipulate the view as well, but I’m inclined not to do that. I have enough trouble posting my current web pages and blogs without adding more. Map of places in Cades Cove where we took pictures. August 27, 2010. This second screen shot is from another application that uses the tracking data. 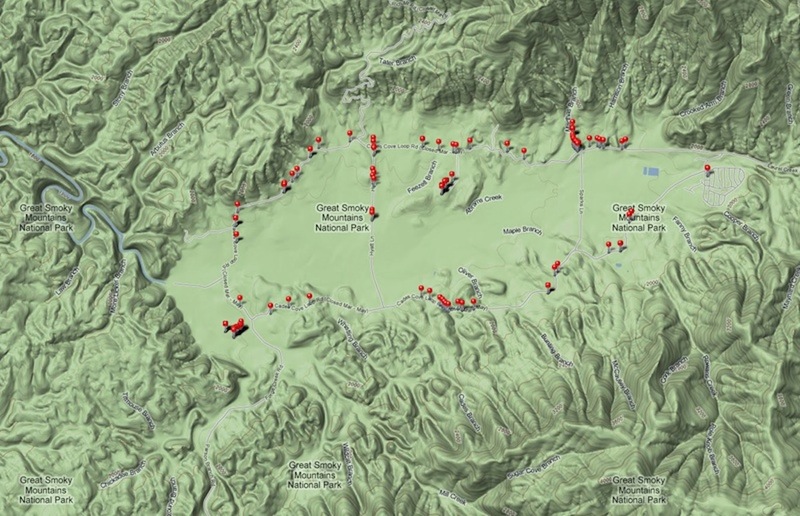 The red dots on the Google map of Cades Cove represent a picture that we took. When I’m in this application (JetPhoto Studio) I can click on a dot and the associated picture opens up. This information could also be posted, but again I think I’ll just keep this to myself except for an occasional screen shot. Hopefully, now that I’ve experimented with some of my new technology I’ll have some pictures to post in the near future. And if I don’t get pictures posted soon I know Betsy will! The handsome young man in the picture above is my Dad. 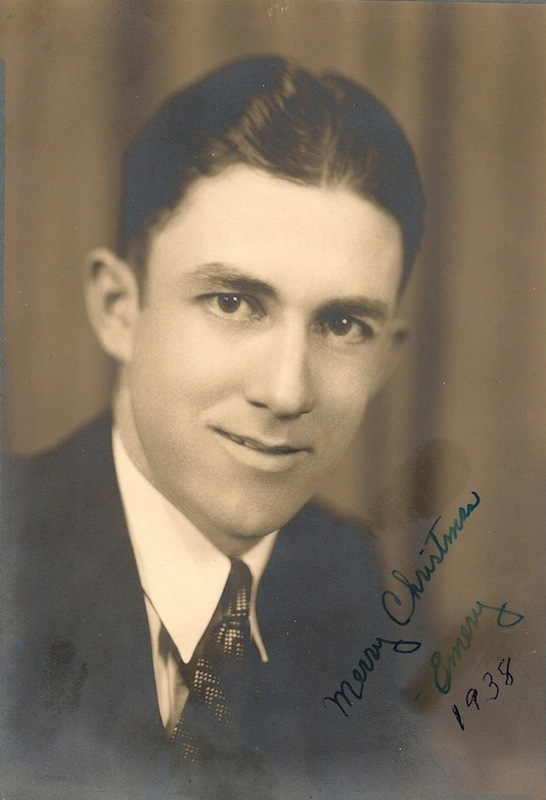 Dad is celebrating his 98th birthday today. The picture was made in 1938 as a Christmas present for my mother. Dad was born in Texas, but while he was still a young boy the family moved to Arkansas. They took the train to Arkansas, which Dad still remembers. They then rode to their new home in the Ozarks in a covered wagon. So he has experienced life from the covered wagon to space travel. Dad met Mom when he was in the CCC working at a state park near her hometown in southern Indiana. What I remember most about Dad is that he could do just about everything. He built our house in Indiana mostly by himself. In 1963 he was one of four people that his company took with them in a move from Indiana to Tennessee. When he got close to retirement age he felt he wouldn’t have anything to do, so he taught himself to repair small appliances. He once got a call on Thanksgiving Day from June Carter Cash asking him to fix a stove that had quit working and was threatening to ruin the Cash family’s Thanksgiving. Dad made a house call and saved the day. Mom made him give up his repair business when he turned 80, but even today people will stop him to tell him how much they appreciate the work he did for them. Dad learned to use a computer when he was 90 and used it every day until he became legally blind about a year ago. Until that time he was still fixing the roof of his house and doing other chores that we tried to tell him he shouldn’t be doing. He just went ahead and did things anyway. He has had to slow down since losing most of his eyesight. Mom is also legally blind, and although my sister Janet and I would like them to live with Janet — she’s asked them to — they want to remain in their own home. We have to admire their independence even though we do worry about them. We check on them by phone every day and one of us goes every week to help them out. Young adults at their church also help them out. I guess they are doing about as good as can be expected under the circumstances. 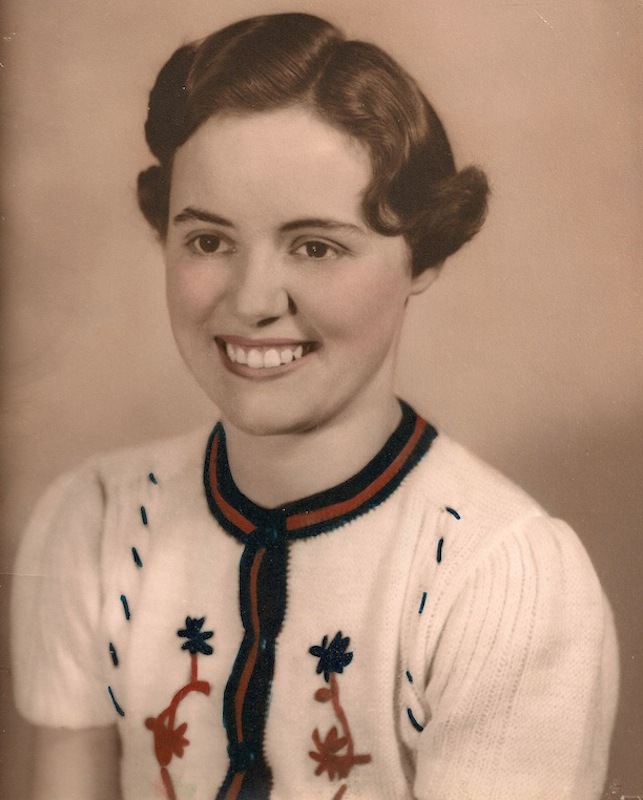 Mom and Dad have been married for 71 years, and although it’s not her birthday I’m including this picture of Mom since the two of them are rarely if ever seen apart. This picture was taken in February, 1940, about three months before Mom and Dad got married. Last night Dad said that today was ‘just another day’. I don’t agree — I think it’s a very special day. I’ve often said that the Glade is pretty just about any time of the year. It’s also pretty just about any time of the day, even in the morning when the skies are overcast. You can see the mountains in the background and the fog in the valley. The sky isn’t a pretty blue, but it will be once the sun burns away all that fog and haze. My Beautiful Bride is a mountain girl at heart and is one reason she moved to Tennessee from Texas back in 2000. (I’m glad she did!). In May, 2001, we visited the Great Smoky Mountains for the first time. Betsy had been there many times before, but I had only driven through it once. 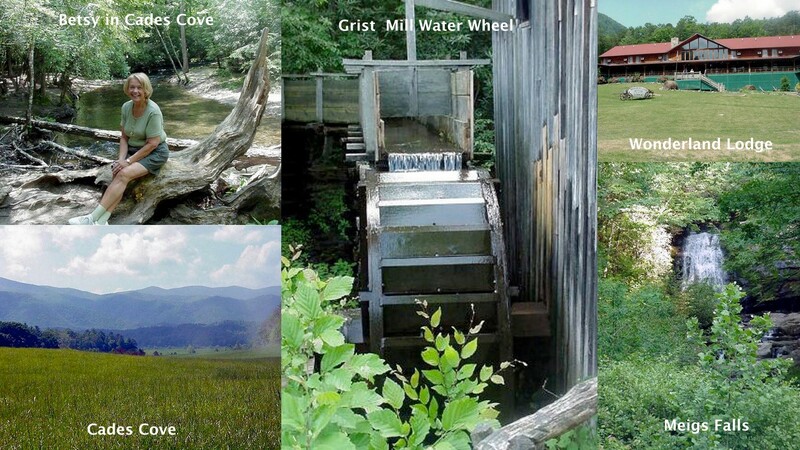 We spent a weekend exploring Cades Cove, Little River Road and Newfound Gap. We also added a waterfall — Meigs Falls — to the collection we had just started. We were even able to experience some good mountain music at the lodge at which we stayed. We’ve been back to the Smokies many times since then — it’s much more convenient to get there now that we live in the Glade. But this first trip in May, 2001, was — and still is — very special. Campbell Falls, Camp Creek State Resort Park, West Virginia. April 22, 2010. 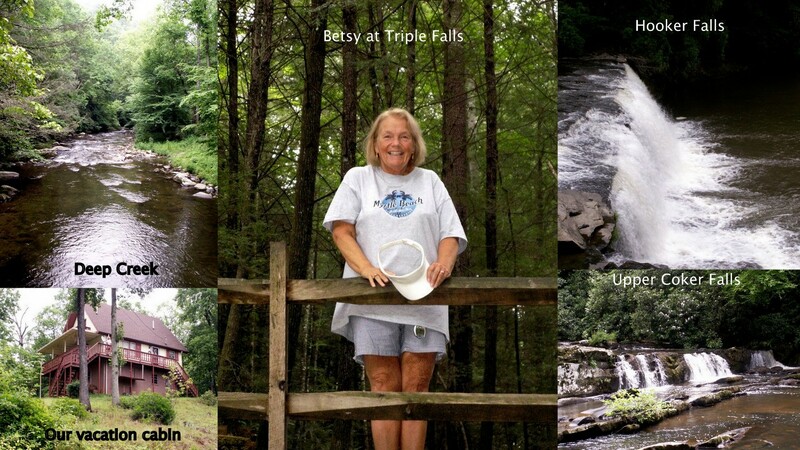 In April Betsy and I went to West Virginia on a waterfall hunt. 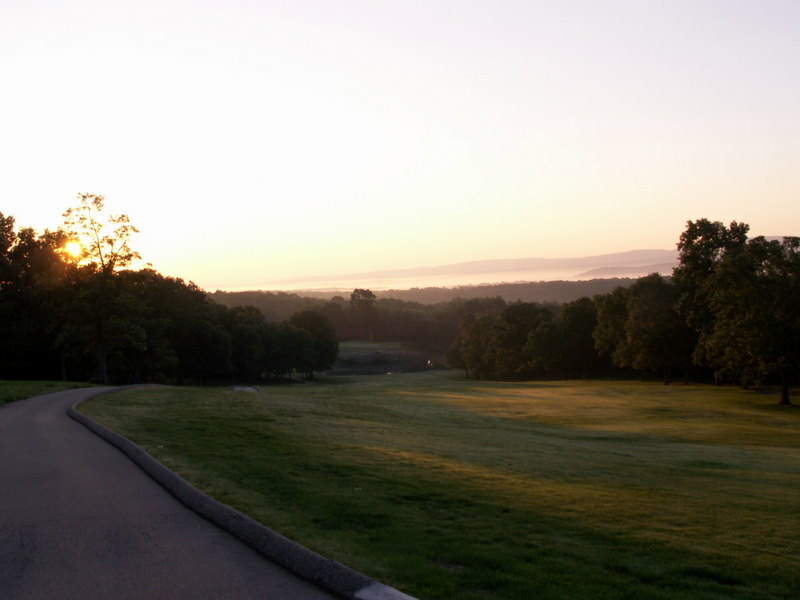 One of the places we visited was Camp Creek Resort State Park near Princeton, West Virginia. The park contains Campbell Falls, a pretty little waterfall. 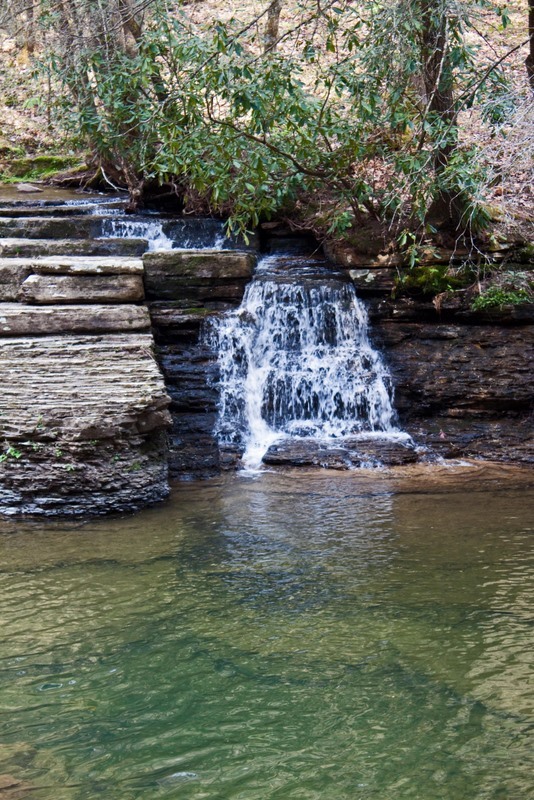 There wasn’t a lot of water going over the falls, and the picture above shows only one branch of the falls, but the water was so clear that the bottom of the creek could be clearly seen. 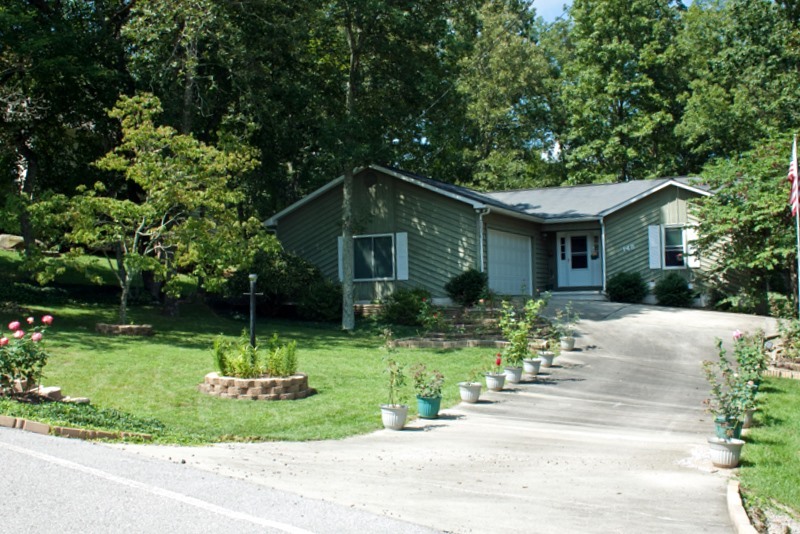 Our new house in Fairfield Glade, Tennessee. September, 2002. 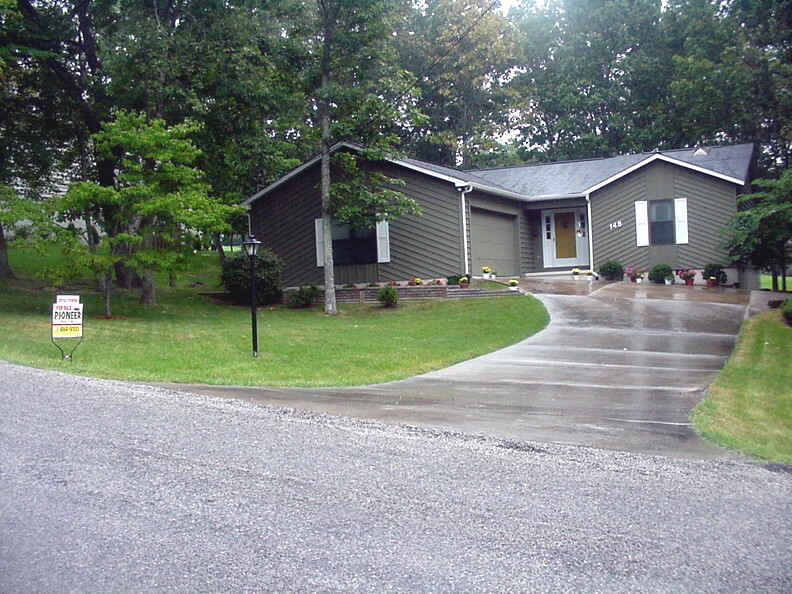 The picture above was taken on the day we closed on our house back in 2002. We fell in love with the house the first time we saw it. We still love it. The front of our house. August 23, 2010. But we’ve made some changes in the yard, as you may be able to see from this second picture. We’ve added the flag pole (at the extreme right of the picture), the flower beds around the lamp post and the dogwood tree (there’s one more around a redbud tree to the right of the picture), and the three rose beds — two on each side of the driveway and one near the road. We’ve also added the roses in the containers along the driveway. This time of the year you are more likely to find us out in the yard or on the deck in back, than in the house itself. But that’s the way it is in our world. Our friendly helper. August 19, 2010. Betsy has become a very enthusiastic birder over the last few years. It all started with a Bluebird family in the box in our back yard, but she now has several feeders on and over our deck. Most of the feeders are located so that she can see them from her chair in our Great Room. There are now a dozen or so variety of birds that visit our feeders on a regular basis. And although Betsy has gotten very good at recognizing the birds by sight or by their call, the birds are not very good about cleaning up after themselves. I hate to say it, but those birds are some of the messiest eaters I’ve ever seen (and that includes two kids!). Betsy does a pretty good job of sweeping the deck, but one rainy day last week she got distracted doing other things and didn’t sweep as often as she usually does. 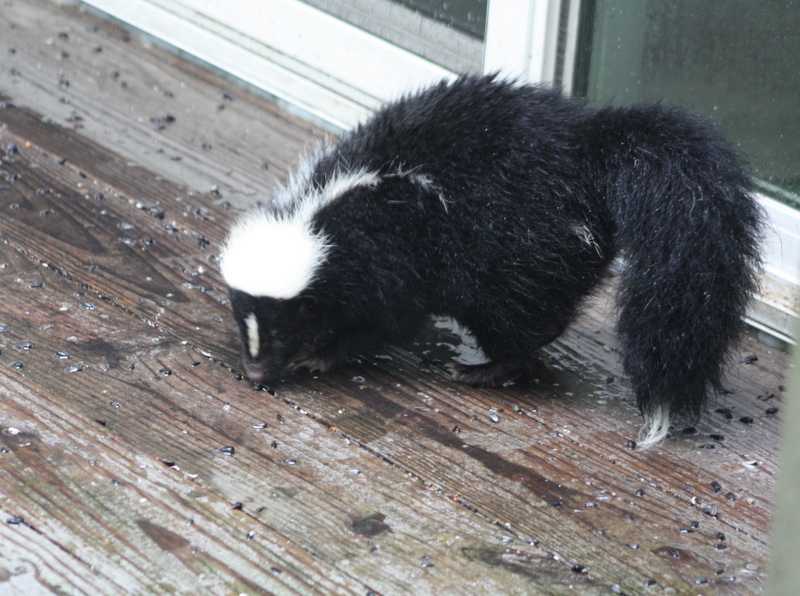 So this ‘friend’ decided to climb up on the deck and help with the clean-up effort. Fortunately it went away without gracing the deck with its ‘fragrance’. We really do need to keep the deck swept! Quarter Moon over Fairfield Glade, Tennessee. August 14, 2010. This week has brought clouds and some much-needed rain to the Glade. 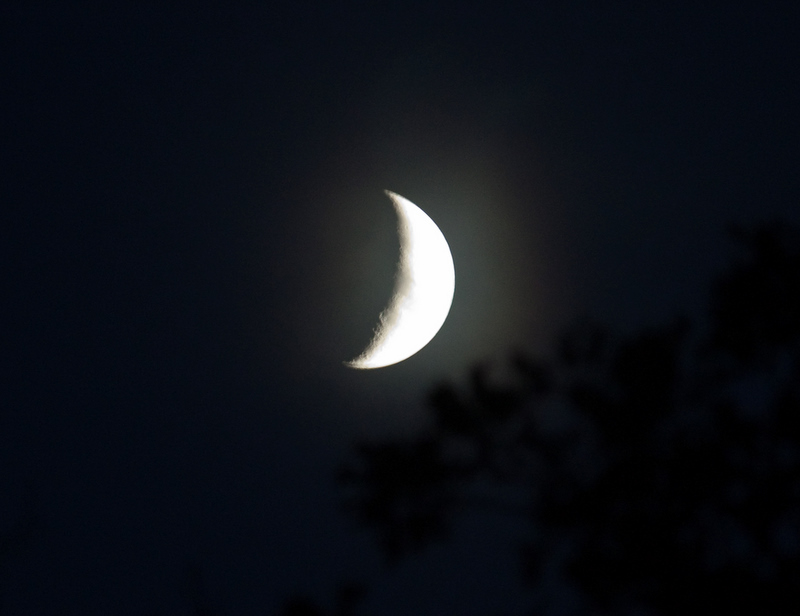 But last Saturday evening the clouds parted enough to reveal a quarter moon. I, of course, could not resist the temptation to grab my camera and try to capture the moon. 2006 was an interesting year for Betsy and me. My job ended since I didn’t want to move to Memphis and so I retired instead. Retirement made it possible for us to celebrate our anniversary by taking a trip, which we did for the first time. Our friends Judy and Charlie invited us to their cabin near Franklin, North Carolina. Since Franklin is in the heart of the mountains of western North Carolina and there are many waterfalls to visit, we quickly accepted their invitation. During our visit to North Carolina we visited waterfalls near Cherokee, North Carolina, at Deep Creek in the Smokies, in the Dupont State Forest in North Carolina. We also stopped by a couple more waterfalls on our way home. To see these pictures and more of the waterfalls we visited, click HERE.